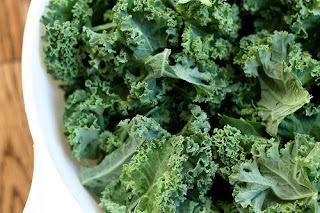 What a Healthy Family Eats: Starting 2011 off with Super Yummy KALE! I'm so guilty of sticking kale in our morning smoothies so I don't have to figure out what to do with it later on. LOL! I love the idea of a new kale recipe each week! I love the bowls in Appetite for Reduction. I also have the kale on my list for this week. I bought the capers the other day to make the dressing. I chuck it into smoothies too. After the holiday excesses I need as much goodness in them as possible. I can never get it in Publix though (Unless I am particularlty dense and they call it something else), have to make a trip to Whole Foods instead. Looking forward to some simple man type recipes!